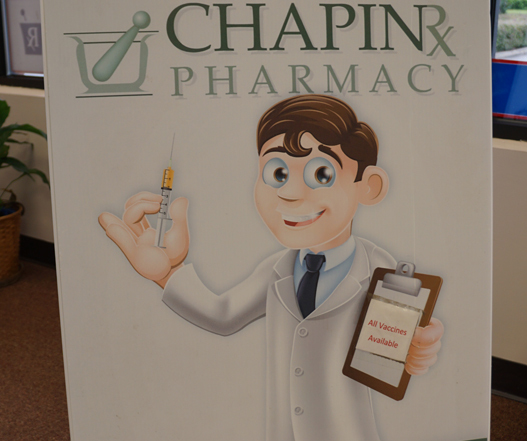 Chapin Pharmacy offers a wide variety of pharmacy services in the Chapin Area. Chapin Pharmacy is your one-stop shop for high-quality medications, vaccines, and health care resources. We carry a complete variety of home medical supplies. Need a great gift, choose from our fabulous gift gallery.